Villa Juno, a new property in Bali that classifies itself as a Bed & Breakfast, is now open to guests in the premier private villa colony of Canggu, in the south western part of the island. Villa Juno is located 30 minutes from Ngurah Rai International Airport and only 20 minutes from the trendy shops and restaurants of Seminyak. There was a pretty strong following in Jakarta for international rugby until recent changes in broadcasting rights meant this country (and much of the rest of South East Asia apparently) miss out on most of the big fixtures. The current northern hemisphere tours by the All Blacks and Wallabies are not being screened on cable TV. At this stage, there are no arrangements in place for the screening of the 2011 Super 15, Tri-Nations and World Cup. The good news is that enterprising souls at two bars in Jakarta have found a way to bring the big games to the punters. There is no getting in, out, or around Jakarta quickly. Welcome to the Big Durian – you better get used to it. The Indonesian capital, the most populous city in Southeast Asia (and twelfth largest in the world) with nearly 8.5 million people, is basically in a constant state of gridlock. "No traffic, no Djakarta sir." 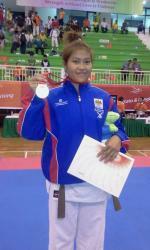 Cambodia's Medal haul increased after the end of Saturday's events thanks to Shorinjo Kempo which finished with 1 silver and six bronze medals. The high point of the day for Cambodia came at the Caricas Sports hall in Jakarta as Sovan Rachana, fighting for women’s Randori (Free Sparring) 57kg - Female gold, lost a valiant battle against home favourite Ligar Nur Lailah of Indonesia. Denpasar. Longer lines of inbound tourists are expected at Bali’s Ngurah Rai International Airport with mandatory fingerprint scanning now in full force. “We chose Bali for this new system because it’s one of the major gateways into the country,” Rohadi Iman Santoso, head of the immigration office’s subdirectorate for information-systems implementation, said on Friday at the office of airport operator PT Angkasa Pura I in Badung district. I am planning to spend a few months from now in Lovina. It’s probably not the most beautiful place (except for the sunsets) to be in Bali, but it is quiet and has a nice laid back feel to it. Internet speed and connectivity though is worse than the south of Bali. There is not one free wifi cafe or restaurant though in Lovina. Many restaurants in Ubud and Seminyak though free wifi. I am certain that if you opened a restaurant or cafe with free wifi, you would get a lot of customers. Lovina is moderately popular with tourists and many of the restaurants in central Lovina are fairly crowded at night. If I can’t get decent internet in my new place, I was thinking I should start my own internet cafe or restaurant with free wifi. Looking for Property (houses, office space, factory)?